Planning a trip with your family? Why not going to Toulouse in France? The place is believed to be the perfect holiday place for kids and adults alike. There are lots of great sites here that will surely make your kids enjoy and learn from at the same time. If you love to take pictures, check out the Canal du Midi which is really breath taking. Kids will enjoy the various adventures that await them in Toulouse while you could teach them how to appreciate and learn from its history. 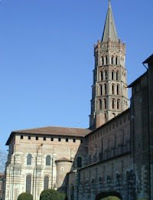 The St. Sernin’s Basilica is well known for tourists and many come here just to check out this Romanesque church as well as to pray. Many devotees come here each year. It was constructed way back in the 12th century and up until now it enjoys its status being the striking building of Tolouse. The main attraction in Tolouse is definitely the Capitole. You’d be impressed by its architectural design and pink color! Another cathedral that is frequented by tourists is the La Cathedrale Saint-Etienne that’s been built 5 centuries ago. It’s best to travel Tolouse with tour guides so you could see everything that Tolouse, France has to offer. You’ll get entertaining, fun yet wholesome activities in Tolouse so you don’t need to worry about your kids. That's truly amazing. a widest experience, of summer vacations. Great. Thanks.